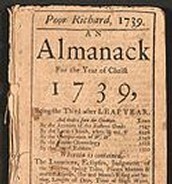 I'm going to teach you about a man who's in history as a grand inventor,and a great man.At the beginning his childhood is where this all started.Additionally Benjamin made great and entertaining publisher.Eventually Benjamin Franklin died but as one of the most famous in history.Benjamin Franklin is a great man,publisher,inventor,printer,and etc. 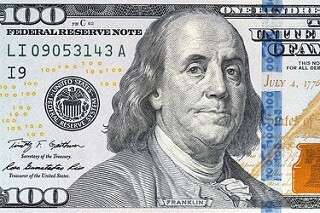 This is a picture of Benjamin Franklin. This is his great place in history he is famous for being on the dollar bill. At the start ,of Benjamin Franklin's life is his childhood.Benjamin Franklin born in Boston ,Massachusetts on Jan.17,1706.Benjamin was the 15th child also the youngest son.His parent's,Josiah and Abiah Franklin,were hard-working and religious people.His father was a soap maker and a candle maker,and his shop was located "at the sign of the Blue Ball"on Milk Street and later in a bigger house on Union Street.Benjamin attended school in Boston for only two years,because they were poor.At the age of 10 Benjamin began to help in his father's shop.This is the early life of Benjamin Franklin we know about now. 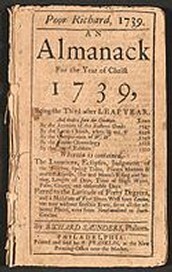 He developed The Pennsylvania Gazette into one of the most successful newspaper in the colonies.Franklin achieved even greater financial success with Poor Richard's Almanac then with his newspaper.Benjamin Franklin published from 1729 until 1766.Also with two partners published Pennsylvania Chronicle.He had a collection of witty saying of advice that he wrote under pen name of Richard Saunders.He wrote and published the almanac for every year from 1733 to 1758.This is where alot of witty sayings come from,The Poor Richard's Almanac was where he had good sayings. At the end,in all the things he did this is his place in history.George Washington summarized American popular sentiment in a letter to Franklin in 1789.Franklin's name would almost certainly be on any list of the half- dozen greatest Americans.His face appears on coins,stamps, and paper money of the United States.Philadelphia has also revered the memory of it's most famous citizen.The University of Pennsylvania named its athletic field in his honor.One of the showplaces of the city is the spacious Benjamin Franklin Parkway.This is the history of the man Benjamin Franklin. 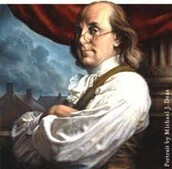 This is the interesting life of Benjamin Franklin.This was the early life of Benjamin Franklin.Benjamin was a great publisher with his entertaining sayings.Franklin's place in history is a place that will always stand.This is Benjamin Franklin and his life. Pen name - A name used by a writer instead of the writer's real name. Sentiment - An attitude or opinion. Spacious - Having a large amount of space. 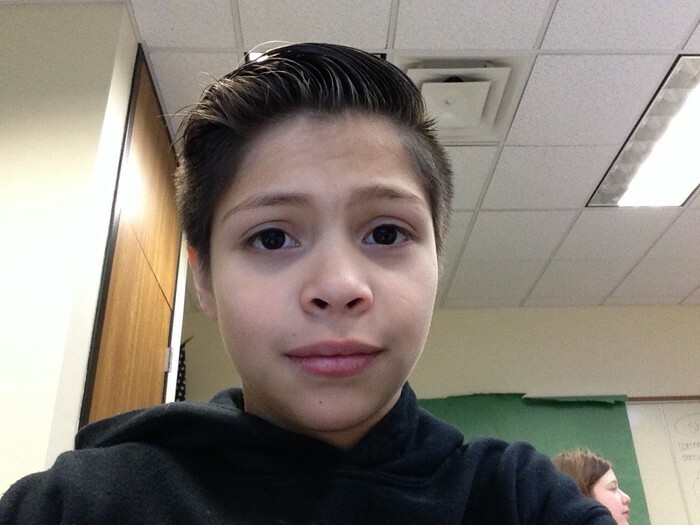 My name is Aaron Cornejo-Lopez and im in 5th grade and I go to General Mclane Middle School.I love my family,sports, and God. Im truly BLESSED.